The relationship between parent and child is possibly the most important one humans experience. For an INFJ parent, this experience holds special challenges and triumphs. The bond between INFJ parents and their offspring is a complicated dance for sure. So let’s take a look at some of the strengths — and challenges — of the INFJ parent, based on the four components of this rare Myers-Briggs personality type. All children need lots of attention, whether newborns, toddlers, or teens. This neediness presents a tug of war for introverted parents, no matter their personality type. But for INFJs, the problem can be intensified by their Feeling and Judging aspects. 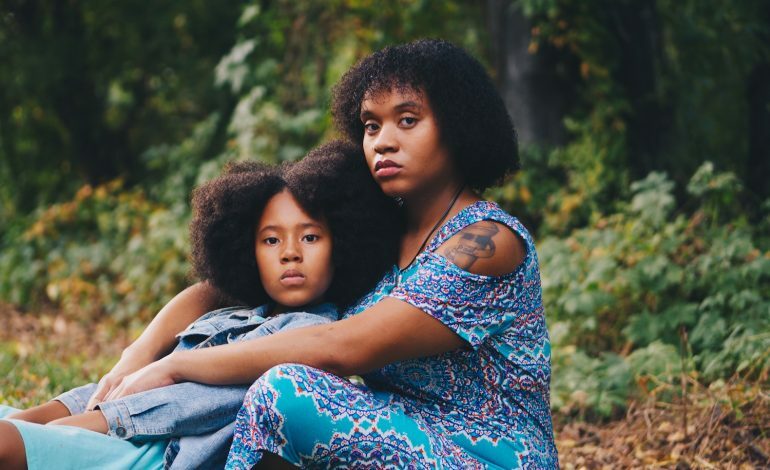 It’s a constant struggle between giving their children the immediate attention they demand or maintaining a sense of revitalization that only alone time provides. If INFJ parents choose alone time, they may feel guilty for putting themselves first, inwardly judging themselves as selfish and irresponsible. If they sacrifice moments of solitude for the endless demands of child-rearing, they put themselves at risk for becoming husks of themselves. Trust me, I’ve been there. Pretty soon, you’re outwardly going through the motions of parenting but dwindling into an agitated robot, providing the physical necessities of parenting minus the warmth and emotion required to raise a happy child. As the child gets older, there are sleepovers, chaperoned events, parties — all huge gatherings where the introvert’s limited social energy is tested. Because INFJs can intuitively (and deeply) sense their child’s need for companionship, they tend to do what is best for them — sometimes at the expense of their own needs. Then, if you’re anything like me, you rebel in an impulsive frenzy of “no’s” when your emotional tank is low. After a long day at work, where you’re forced to interact with others, the thought of hosting a group of rambunctious tweeners for the night can seem utterly unbearable and excruciating. On those nights when INFJ parents simply must say no, we do so only when our very sanity is at stake, silently begging our children to forgive us. Like the old adage about Santa that “he knows when you are sleeping; he knows when you’re awake,” INFJ parents have an inner sixth sense. And their fine-tuned radar is pointed directly at their children! Picking up on the small things that they do every day — from a weak response to nursing to unexpected silences to even the way they drop their book bags after a long day at school — INFJ parents are very aware of their children’s changing moods. Yes, INFJ parents seem to know at times just what their children feel or need (when no one else can). Parenting can be a study in psychology, and INFJ parents function well in this aspect, knowing when a hastily offered “I’m fine, Mom” is fact or fiction, and whether a tummy ache is a real sickness or just a subtle cry for extra attention. As children get older, with hidden heartaches and untold bullying too painful to reveal, INFJ parents are almost Sherlockian, picking up a word here or an action there. Their sleuthing can alert them to their children’s suffering, which might go unnoticed by some other personality types. Being observant not only about the goings-on in their children’s lives, they also are intuitive about their child’s inner nature. This can help them decide on the best course of action, whether it’s a trip to the playground, a visit to the ice cream shop, a good old fashioned “let’s sit down and talk,” or simply a watchful silence to allow the child to process emotions alone. While intuition is a seemingly wonderful trait to have, at times it also costs in tranquility, for the Feeling aspect of the INFJ is no more powerful than when it involves the love of their children. From the moment a child is born, the INFJ parent is connected to them for life (as are most parents). However, the deeply emotional nature of this personality type can make the feelings seem almost dizzying in their power. Not only do they sense their children’s pain, they may experience it in an almost physiological way. This makes for a beautiful bond, but it also means a heavy weight on the INFJ parent’s shoulders. For me, one of the most painful moments as an INFJ mother was when my son didn’t pass his driver’s test. When he got out of the car, I was bombarded with a whirlwind of his suffering. So many feelings. I could feel his inner man struggling to stay composed in the midst of watching eyes, and I could feel the little boy and the crocodile tears copiously falling on the inside. It literally made me sick to my stomach; as a matter of fact, I think he recovered from the event faster than I did. With so many big moments (and challenges) lying in wait for their children, INFJ parents may wonder not only how their child will endure but how they will as well. Regardless, INFJ parents make strong emotional sounding boards and compassionate listeners. The line, “Mom, you don’t know how it feels” is usually far from the truth. The child knows, that in most matters, a tug at their INFJ parent’s overly empathetic heartstrings will get them what they want. But never, ever will it work when it comes to things that their parent deems necessary and meaningful, such as schoolwork, kindness to others, and morals. While these strict “lines in the sand” for children of INFJs can be beneficial, at times the INFJ parent can push too hard, become overbearing, trying to “pilot” their child’s ride through life. Of course, this temptation isn’t exclusive to the INFJ personality, as almost all parents struggle with finding balance on some level. But certainly, it’s a struggle that’s quite common and intense for INFJs. At moments such as these, INFJs must step back and ponder the benefits versus the risks of this overly pushy behavior. This is where the intuitive nature of an INFJ parent must be placed ahead of their Judging facet. If these matters are handled carefully, the child can still achieve high goals while feeling a sense of independence. All parents come to the parenting game with certain strengths and weaknesses. INFJ parents must use their inner knowledge of themselves, their children, and the world at large to help their child maneuver successfully through life’s complicated jungle. If they can balance their driven nature and not let it place heavy burdens on their children, the beauty of their intuitive, emotional nature can result in an extra special parent-child connection — one that will last a lifetime. I am a veteran high school English teacher and easily identifiable INFJ. I write for fun in my spare time and am on an INFJ mission to not let my fears stop me from leaping into scary waters. I am happily married with two children who make my life worthwhile — but my precious alone time is scarce. I can be reached at dawn.bevier@yahoo.com.